We’re excited to announce our new t-shirts are ready! Check them out! Thank you to our partner @Bonfire for inspiring us. 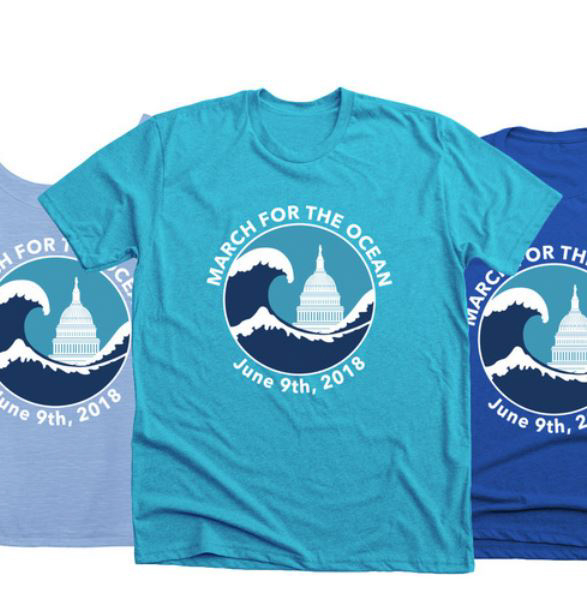 Wear Blue for the Ocean - wear your M4O shirt during the march to simulate flooding the streets of our capitol! Turn the tide today! June is Oceans Month. Turn the tide today! Show your love of the ocean by wearing blue for the ocean! Protect the world's oceans for future generations. Aria Luna created the Sea Dragon (Dragón del Mar) as part of her upcoming traveling exhibit to help raise awareness about the state of the world's oceans. Until June 9, 2018, profits from the sale of this card set go to March for the Ocean, a nationwide series of marches planned for June 8, World Oceans Day. With your purchase, you are supporting the global effort to educate the public about the urgent need to protect our oceans from overfishing, coral bleaching, acidification, and plastic pollution. 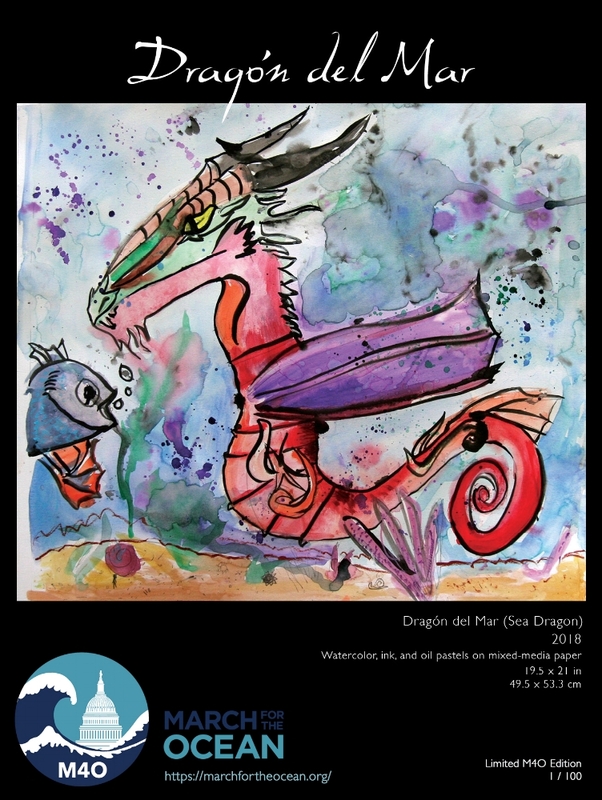 All profits from sales of the Dragón del Mar poster support March for the Ocean, a nationwide series of marches planned for June 8, World Oceans Day. This gorgeous 18x24 poster is printed on FSC-certified stock by a responsible printer in California certified as a B corporation. Get yours today and join the worldwide ocean conservation movement! With your purchase, you are supporting the global effort to educate the public about the urgent need to protect our oceans from overfishing, coral bleaching, acidification, and plastic pollution. This is a Special Limited Edition poster created exclusively for March for the Ocean, a nationwide series of marches planned for June 8, World Oceans Day. 18x24 poster print. Only 100 copies of this poster have been printed. 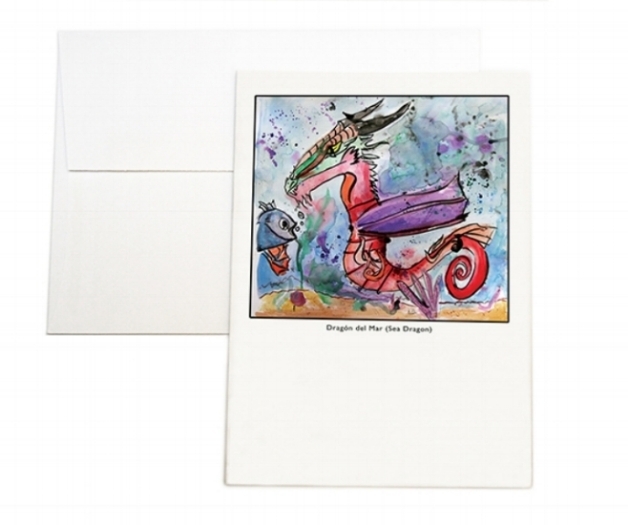 Each one is hand-signed by the artist and printed on FSC-certified stock by a responsible printer in California certified as a B corporation. Get yours today before we run out! With your purchase, you are supporting the global effort to educate the public about the urgent need to protect our oceans from overfishing, coral bleaching, acidification, and plastic pollution.